Oh em gee I did an actual GP (glitter placement)...! And I have to say that as a follow up to my last horrendous attempt at a GP, this one actually consists of placing the glitters and not just tossing them on hoping they line up. 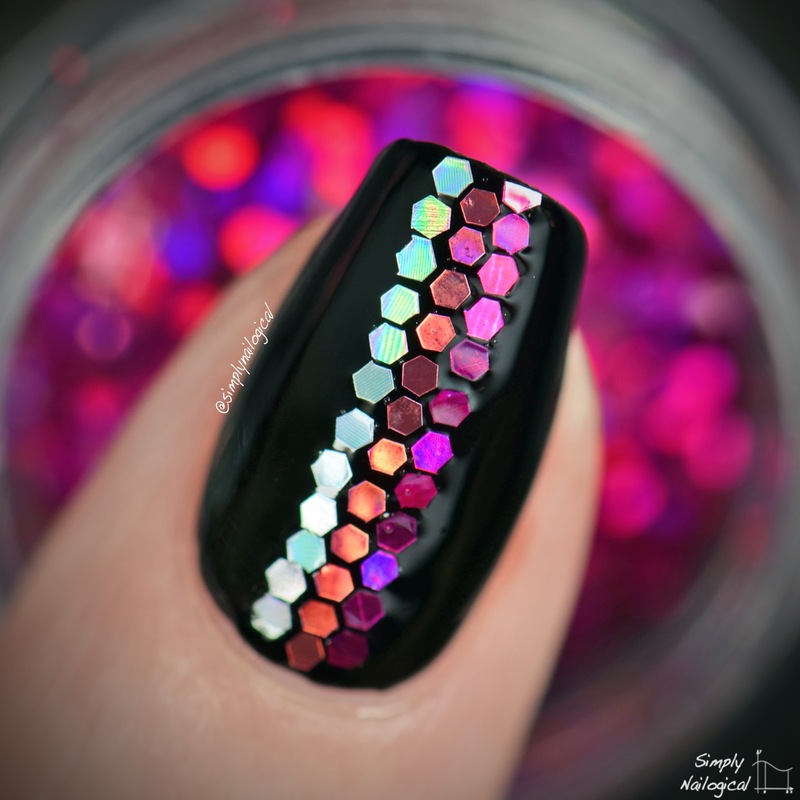 I used three kinds of mini hex loose holo glitters from The Sparkly Shop! 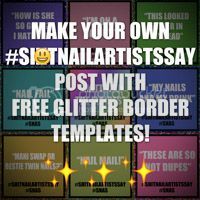 This mani was done as a bestie triplet mani between myself, Kristin of Lacquerstyle and Tracey of @missbellatracey on Instagram for our joint weekly nail art challenge, whose prompt this week was glitter placement and the theme being contrast. Pink and black cause I used to love Avril Lavigne, obviously. 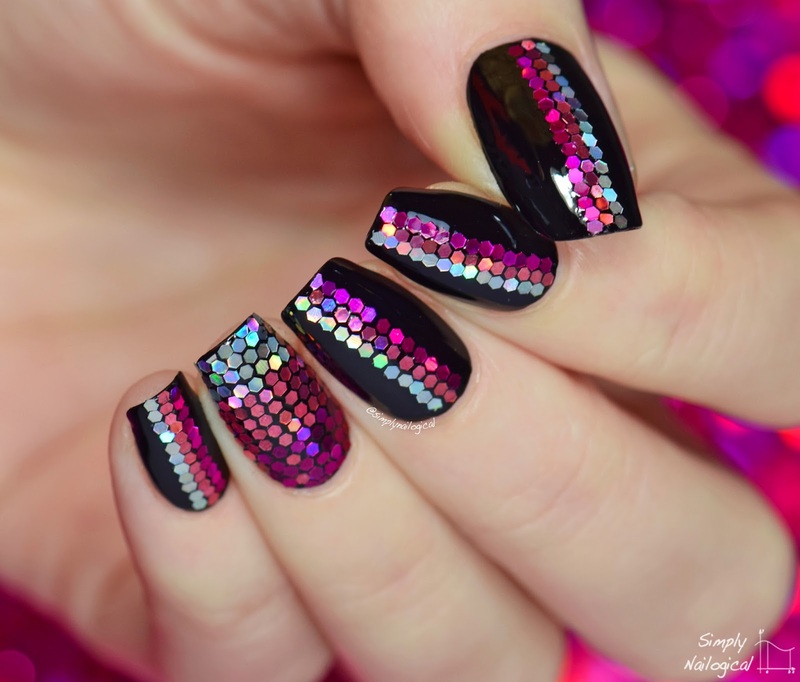 I'm so proud that I wasted 4 hours of my life to do this mani! I mean look, the hexes are somewhat evenly spaced! 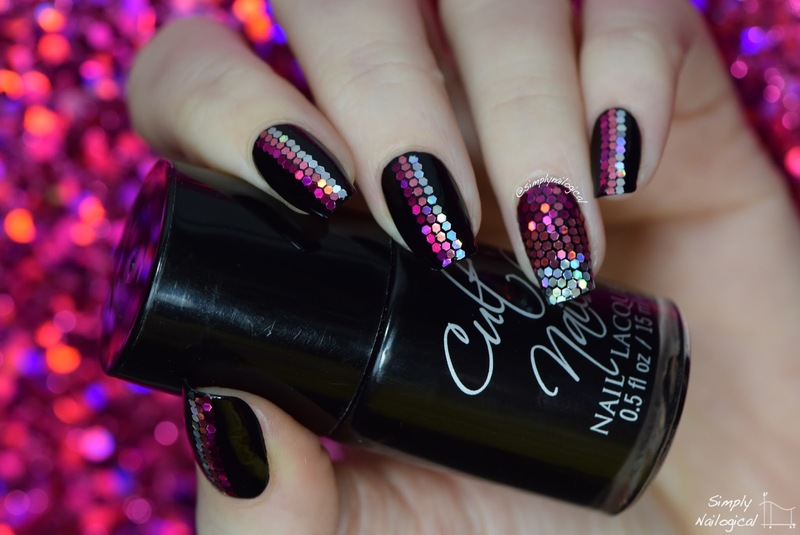 I'm warming up to take on one of Polish All The Nails master GP manis. I might need to be hooked up to life support afterwards. So I didn't cut or place them 100% perfectly, whatever, my eyes were buggin'. 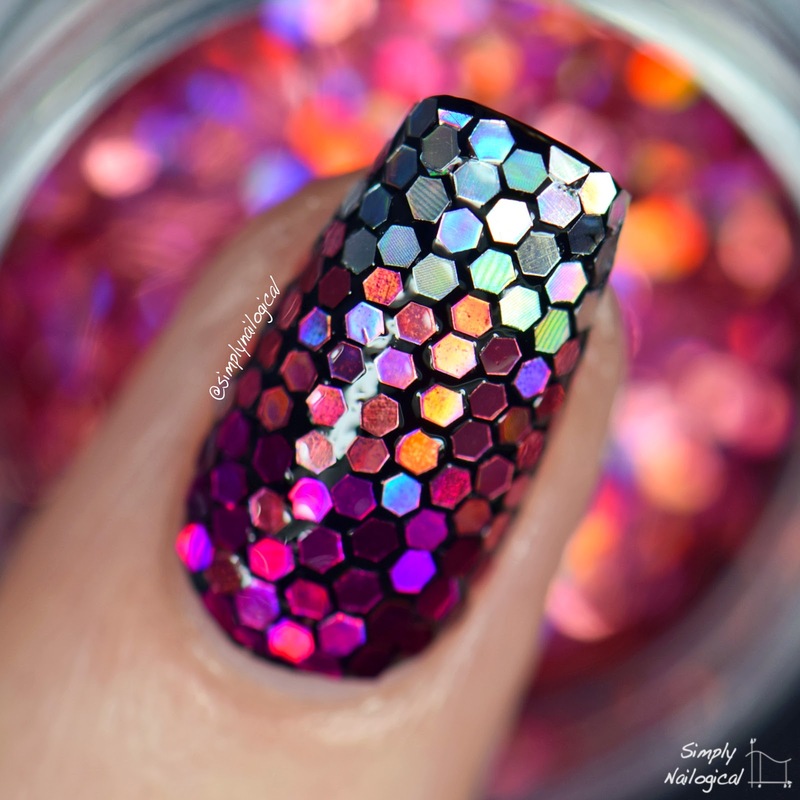 How epic are these opaque holo glitters though? 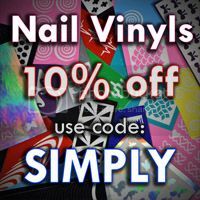 They are super high quality and do not bleed when you apply topcoat! 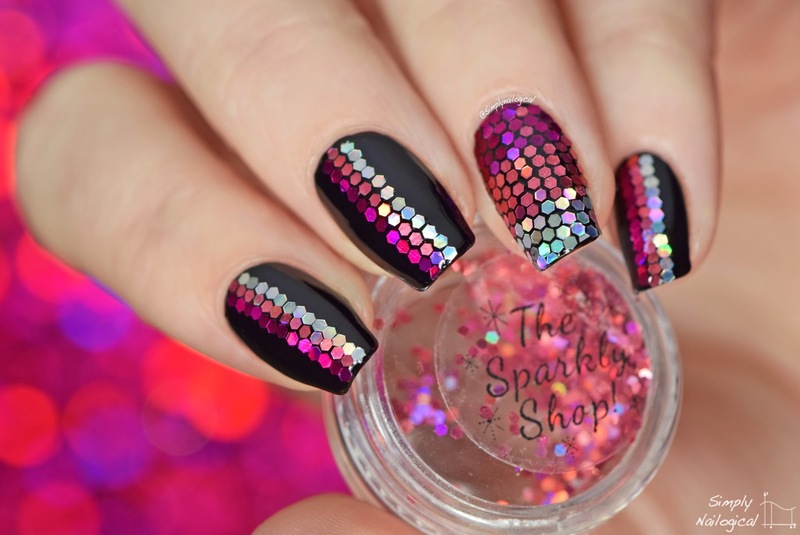 Get yours at The Sparkly Shop! It's truly amazing cause while I make it look like this took me 1 minute it actually took me 4 hours! Makes you really wanna try it now, huh? 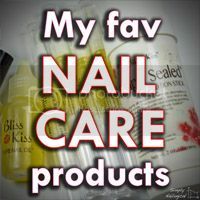 Clear nail polish is made by many brands including Revlon, Cover Girl, Maybelline, and Sally Hansen to name a few. Just look for the key words 'clear' or 'natural' and make sure it doesn't say top coat. 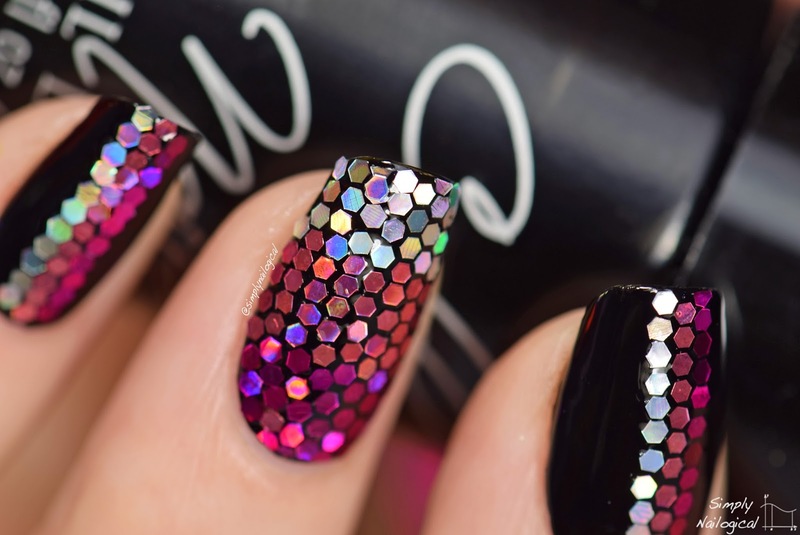 Awesome holo glitters from The Sparkly Shop! 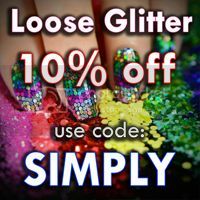 *Glitters were provided by The Sparkly Shop for my impartial review. You did an amaaaazing job!! Looks so shiny and beautiful! 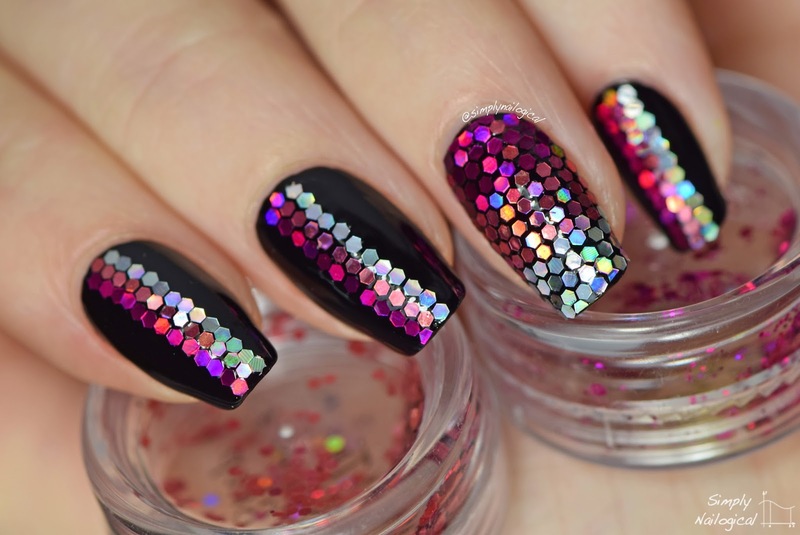 You made me want to do a glitter placement right now as soon as I get some good glitters. 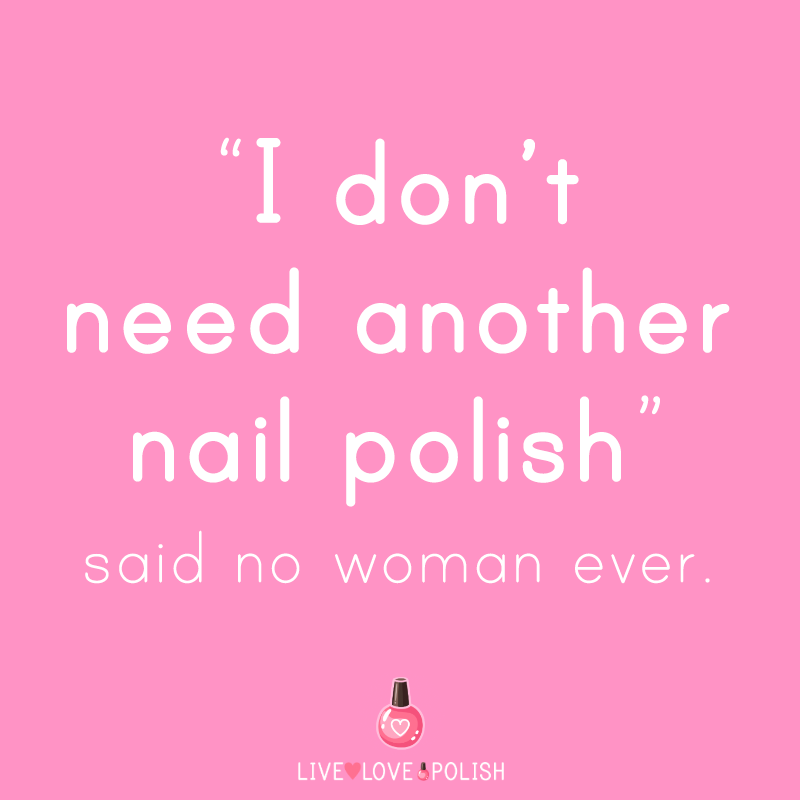 But could you use a clear base coat instead of clear polish? Gosh I wish I had your patience!! Holy shizzzzz this is so freaking awesome!! This is soooo got darn amazballs I can't stand it. 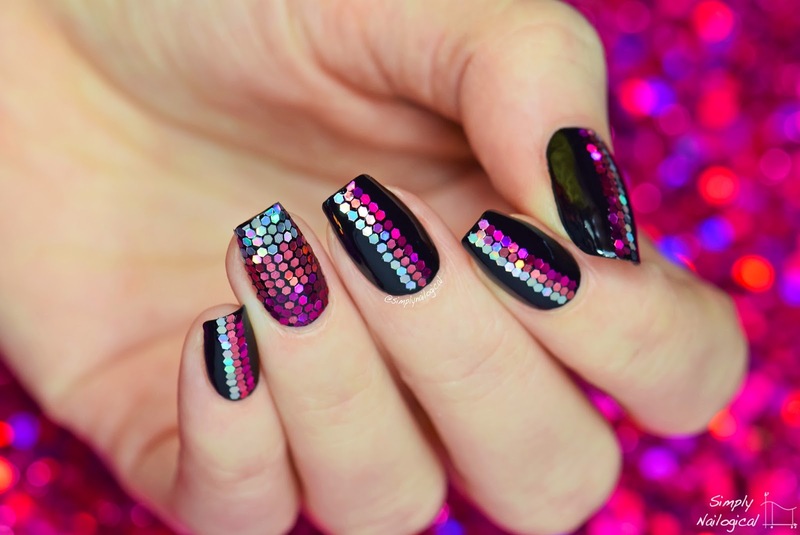 I've only done two accent nails and that was enough for me. I just don't have the patience.